The European Space Agency will launch a new satellite in 2017 to study super-Earths and other large alien planets orbiting nearby stars, agency officials announced Friday (Oct. 19). The small CHaracterising ExOPlanets Satellite, called Cheops for short, will orbit the Earth at an altitude of about 500 miles (800 kilometers) and search for new exoplanets around nearby bright stars already known to harbor alien planets, ESA officials said. "By concentrating on specific known exoplanet host stars, Cheops will enable scientists to conduct comparative studies of planets down to the mass of Earth with a precision that simply cannot be achieved from the ground," Alvaro Giménez-Cañete, the ESA's director of Science and Robotic Exploration, said in a statement. One of the methods for detecting exoplanets is to look for the drop in brightness they cause when they pass in front of their parent star. Such a celestial alignment is known as a planetary transit. Cheops' high-precision monitoring will help scientist spot the telltale dips in the stars' brightness that occur when a planet passes, or "transits," in front of its star, according to a statement from the ESA. These observations promise to yield more accurate measurements of exoplanets, which could provide clues about their internal structure. ESA officials said the mission will last run for about 3 1/2 years and is aimed at improving understanding the formation of alien planets ranging in size from so-called super-Earths (planets a few times the mass of the Earth) to giant Neptune-sized worlds. The mission is also designed to identify alien planets with significant atmospheres. The Cheops mission was selected from a field of 26 different proposals from ESA's Call for Small Missions in March, ESA officials said. 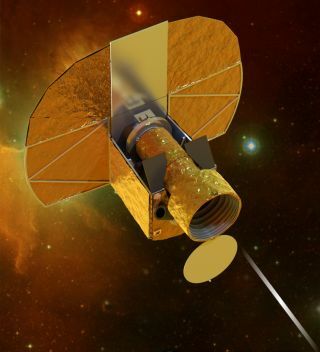 It is the first of a potential new class of space missions for the European Space Agency's science program, they added. Since 1992, astronomers have discovered more than 800 confirmed alien planets using the transit method and other planet-hunting techniques, with the aid of ground and space-based telescopes.